1. 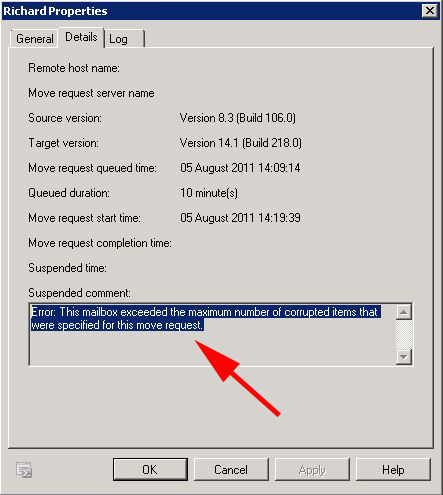 As you can see from the error this mailbox has some corrupt Emails in it, Exchange will fail by default if it sees even one corrupt email. What you should do is get the user to tidy up their mailbox and try the process again, but that’s not always possible. Note: Running ISINTEG does NOT usually sort this problem out either. 2. 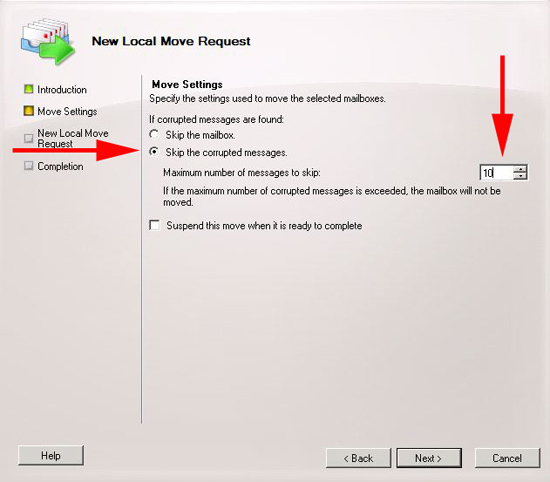 First you need to delete the movement request either via the Exchange Management Console or via powershell with the following command. 3. 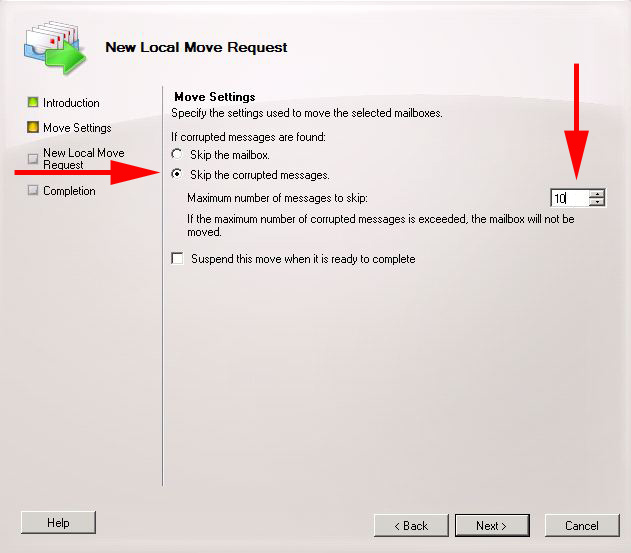 Retry the mailbox move again but this time change the default setting from 0 to the amount of corrupt Emails you are prepared to put up with (I usually go up in increments of 5 until the mailbox will move) > Next. 4. This is Microsoft covering it’s behind! > Finish.